It was supposed to be a job for life – but Dave Grant had only been at the company for five years when the end came. One day, the Mitsubishi American executive flew into town to tell everyone at the company their jobs were safe for years to come. The next minute, the executive quit and Mitsubishi was shutting what was left of its Australian operation. Around the same time, Dave’s marriage came apart. It was his second and his best. The end, Dave says, had nothing to do with losing his job. To cope, he hit the bottle pretty hard, until he decided his severance money wasn’t going to last forever and he needed a job. Dave tried going back to carpentry, but since he had never been formally qualified, the company asked him to drive the delivery truck. He didn’t have a licence, but it was a job, so Dave did it at least until the government paid for him to pick up a licence through a fund for ex-car workers. After that he drove delivery trucks and eventually went to work running deliveries for Electrolux, five times a day. He had his own ABN and all the paperwork. There was no leave and no union, but it was a job. Starting out, he was pulling $18 an hour, which went up to $18.50 after a few years, and $19 by the end. He was making about $700 week at the time, though he lost $100 when Electrolux outsourced part of their operation. Dave doesn’t work anymore, though. He doesn’t drink, either. He quit cold turkey one day years ago, and his son nagged him into quitting smoking three years ago. Dave’s grateful for that. He’ll be 58 in October and he’s living in the “good part” of Davoren Park, he says. His sister works in finance and mortgages, so she’s doing alright. She bought him the place so he’d have somewhere to stay after the cancer diagnosis. When the doctor first told him about the tumour in his prostate, he’d suggested Dave take a year off work. Dave couldn’t afford that though. He owed money on his four cars – his only possessions that mattered – so he kept working for a year before it all got too much, and he had to draw on $20,000 of superannuation from Mitsubishi to settle up. 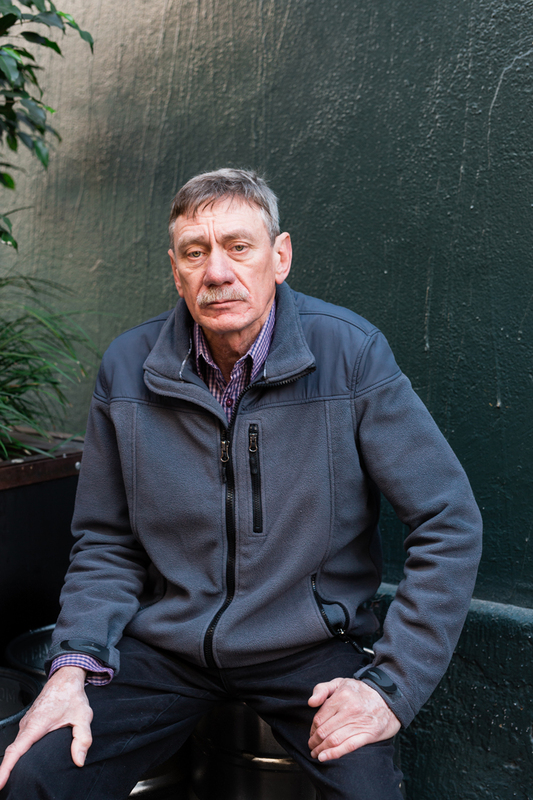 Now Dave’s getting his blood checked every six months, and he’s waiting to hear back about his application for the Disability Support Pension because of the spinal injury he picked up at the plant. His crook back makes it hard to get around in the morning. Sitting down hurts. Outside, a kid no older than 14 walks by smoking a cigarette. “That kid’s got no idea,” Dave says, and starts talking about the future. It’s all immigrants and imports, he reckons. Everything comes in from overseas, cheap, and when it falls apart, we go out and buy more. Someone out there might be getting rich, Dave says, but it isn’t him. Someone out there might be getting rich, Dave says, but it isn’t him. The story of manufacturing’s demise in Australia is old news. In the last decade, 25,000 manufacturing jobs have disappeared from the SA economy alone. 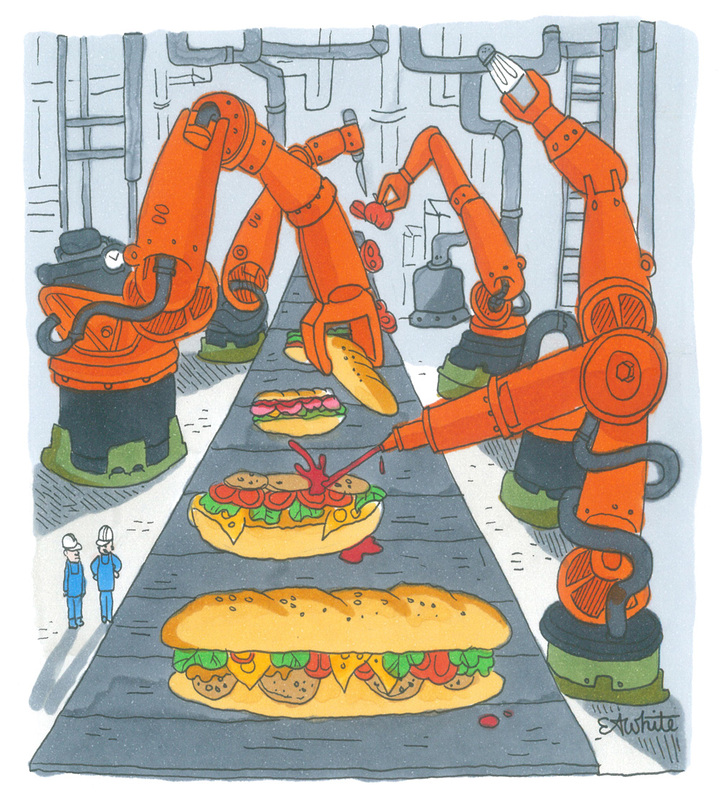 But, the end of manufacturing is only the beginning of an era that will see the twin forces of automation and globalisation wreak havoc across all our industries – eviscerating the weekly wage and the social stability it supports, and leaving an unknown future in its place. 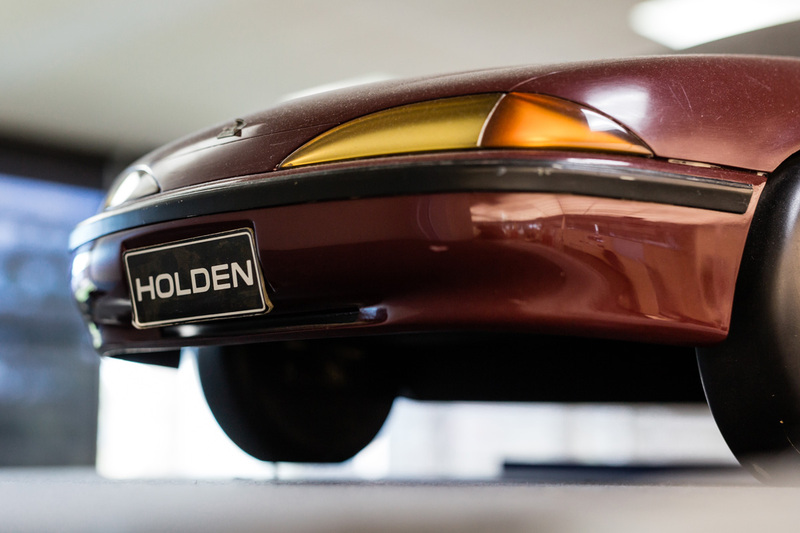 In the lobby of the Elizabeth Holden manufacturing plant, a polished car sits at the edge of a run of red carpet bearing the licence plate “LAST UTE”. CityMag’s expectation of entering a factory filled with the clanging and banging of mass manufacturing jarred against the calm silence of the office staff who motion us toward the sign-in sheet. Through the glass doors of the lobby’s back entrance, there are hints of the scene we’d imagined – an expanse of manicured lawn, adorned with a large ornamental fountain, stretches out toward other factory buildings. The entire Holden site is a regal 122 hectares. In 2008, the bell tolled for Mitsubishi. 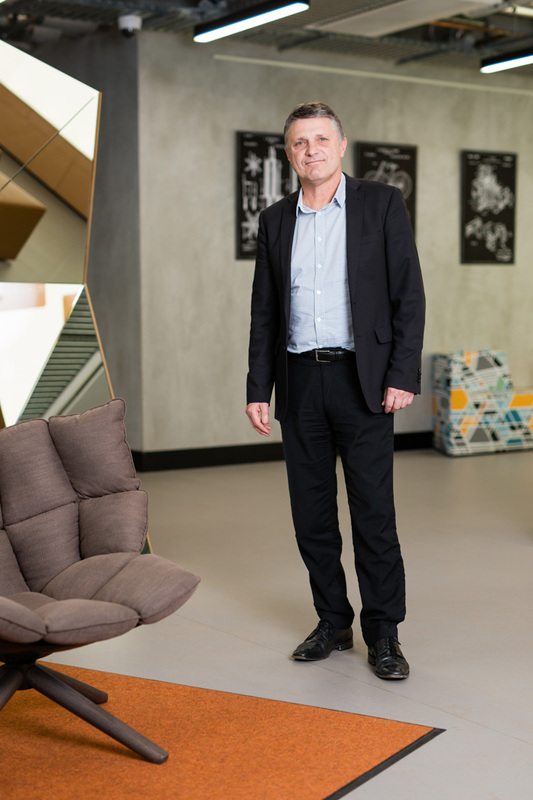 Stories like that which Dave Grant told Royce Kurmelovs were not uncommon – but for some, there was still the prospect of work in manufacturing, either at Holden, or somewhere else along the supply chain. On October 20, 2017, the bell will toll again, not only for Holden and its workers, but for the SA manufacturing industry as it currently exists. The Holden Transition Centre has operated at the Elizabeth site since the closure was announced in 2014. “This used to be the employment office, so this is where, if you wanted a job at Holden, you walked in here, and you said ‘I want a job at Holden,’ and sometimes it was as easy as that,” Sophie Milic, GM Holden’s Corporate Affairs Manager for SA and WA, says. Once a beacon of jobs and prosperity, the space is now a community centre for workers to come and plan for their life post-Holden, either with onsite career counsellors, or through conversations with their workmates. Upon entering the Centre, we’re greeted by a stumpy black obelisk – a Centrelink kiosk donated by the Department of Human Services, which makes certain no-one underestimates the dire reality of this situation. 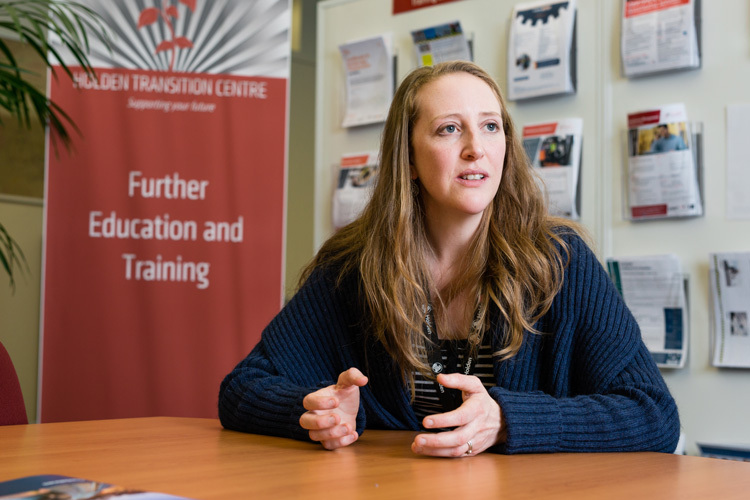 Through the Holden Transition Centre, workers have access to $3,000 to put towards re-training, $500 for financial advice, and a full career counselling program. The manufacturer has also pledged to keep the centre open up to 12 months after the plant closes, depending on need. To doubt the sincerity of Holden’s commitment to helping its workers transition seems cynical. But, what difference their efforts will ultimately make for the future of workers – many of whom imagined an entire lifetime in manufacturing – remains to be seen. Over the last 10 years, 25,000 jobs were lost in manufacturing in South Australia. At Holden, 950 workers are still left. Come 20 October, their positions will be added to that figure, as will many from the component manufacturers that service Holden. Sophie’s aim, and that of the Transition Centre, has been to find somewhere else in the economy for the Holden workers to go. “It was 1,700 [workers] at the time of the closure announcement, and we know that there aren’t other manufacturing jobs for them to go into,” Sophie says. In another section of the Transition Centre, there are two whiteboards filled with names and job titles. These are the workers who have left Holden and successfully found work, giving a glimmer of hope to the workers still pumping blood through the terminally ill car-making industry. Manufacturing’s current era of transition is not breaking news. 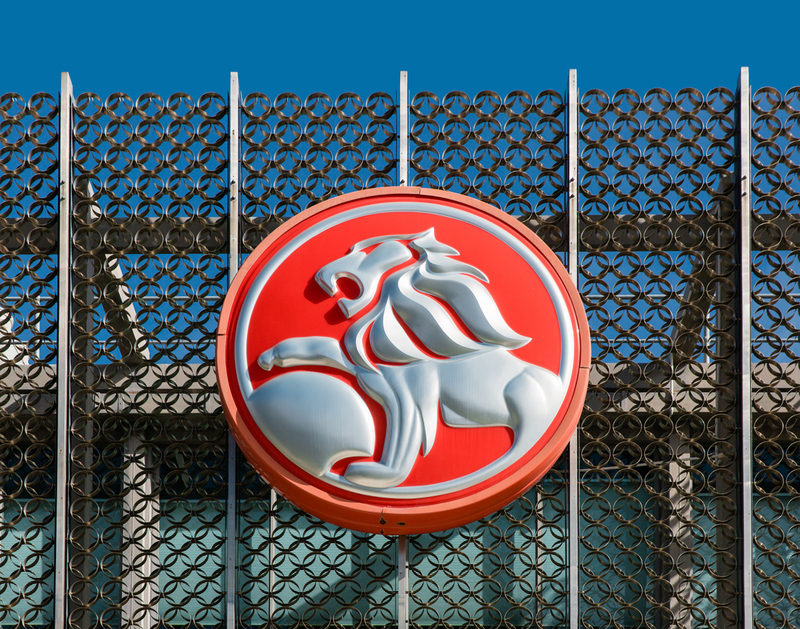 Holden’s closure, really, is not news. But some of the factors that sit behind the old news of a decline in manufacturing jobs – things like the emergence of the global marketplace and the arrival of mass automation in the workforce – will have a much broader reach than is generally reported. It’s highly likely that this round of job losses will be the first of many as our economy metamorphosises into Industry 4.0 – the buzzword used to describe the reportedly thriving advanced manufacturing industry – one that competes on high-level skills, service and knowledge, not on lowest price. 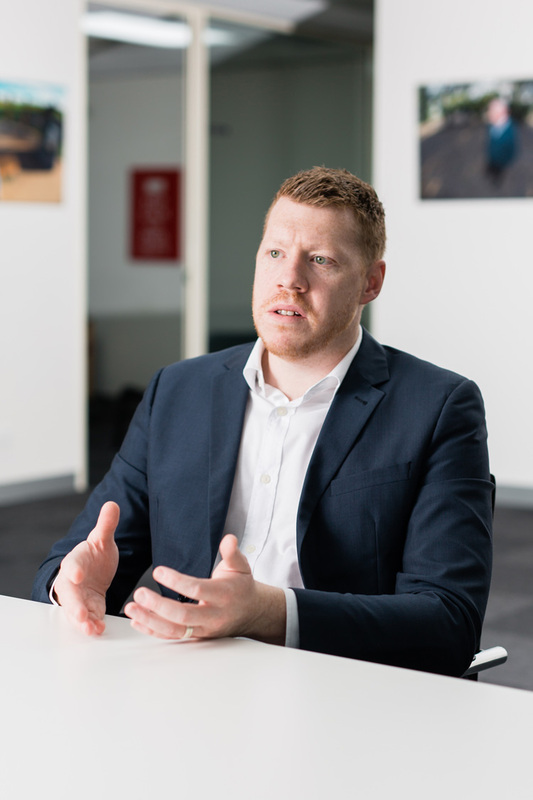 John Spoehr, the Director of the Australian Industrial Transformation Institute (AITI), is careful not to be alarmist in his appraisal of the changing nature of work, but a report his institute released in March this year shows that change is coming, and that – in some cases – it has already arrived. “You can observe it in the real world, can’t you? Go into a supermarket, for example. You can see what’s going on in that workplace,” John says. An automated checkout eliminates just one traditionally human-based task within the supermarket ecosystem, but the potential for technology to replace single tasks rather than entire jobs still makes 15 per cent of our current workforce highly vulnerable to being automated out of employment, John says. Some jobs are, to a greater or lesser degree, completely susceptible to automation, depending on the level of creative thought and non-repetitive tasks they require. On the less susceptible end of the spectrum sits 35.2 per cent of the South Australian workforce. Jobs considered at medium risk make up 23.5 percent, and those at high risk are 41.3 per cent. “I think a good example is probably accountants – they thought they were safe, but they’re not. They’re finding that a lot of their work is being done offshore, because it’s been automated,” John says. “The jobs that are most susceptible to automation are the administrative jobs, that’s the reality. Any job where it’s possible, or where there’s a predictable pattern of work, repeatable pattern of work, of tasks that don’t require too much critical thinking is susceptible to automation. This displacement, both in the short-term in industries like manufacturing, and the longer-term as automation filters further into our economy, will see many people looking for work. Partnered with this displacement is an increased tendency for employers to put their workers on casual and part-time contracts. “Typically manufacturing jobs were full-time jobs, and they were reasonably well paid, particularly during that time where you had access to overtime,” John says. “There are other sectors where full-time jobs predominate, in construction, education, the government sector, and aged care services and so on – but having said that, there are some parts of the services sector that are growing, and while they may have substantial full-time jobs, they’re also seeing substantial growth predominantly in part-time and casual work. In 2011, UK economist, Guy Standing, assigned a name to the legion of workers stuck in the predicament – The Precariat. In the United States in 2008, during the Global Financial Crisis, high unemployment gave birth to a technological salve to the dearth of formal jobs. It was a solution that would offer some work and the chance to scrape together a little cash, albeit with a complete lack of security. This was the birth of the gig economy. rebranded as TaskRabbit, a site similar to Airtasker in Australia, through which workers can bid on odd jobs posted to the app. In 2009, US GDP dropped by more than 3 per cent and unemployment rose to 9.6 per cent, effectively priming the American workforce for the gig economy. The South Australian unemployment rate currently sits at around seven per cent, and could climb, if the lack of jobs isn’t patched through investment in a sufficient number of large-scale projects, John says. “The Northern Connector Project was a breakthrough, really,” he says. “That’s around three quarters of a billion dollars worth of infrastructure investment, and that was a timely decision. Without this patch, the gig economy is likely to become an increasingly attractive prospect, but not one John sees as ideal. “We’ve got to work out how we can humanise these platforms so that they are not exploitative, and that they don’t undermine basic community standards and principles of decency at work, and expose people to exploitation,” John says. Enforcing these standards is traditionally the role of unions, but the gig economy, although being a product of a more digitally connected society, has also created a vastly scattered network of individual contractors, making collective bargaining difficult to organise. In precarious times in the past, though, unions have found a way. President of the Adelaide Branch of the Labour History Society, Jude Elton, says Colonial Australian workers faced under-regualtion and exploitation. She believes disciples of the gig economy are in a similar position to their ancestors. “People are desperate for work. They want work. They want jobs, quite understandably, and they’ll take what they can get,” she says. “Places like Uber… it’s an illusion that it’s just this wonderful world of controlling your own hours. You have enormous pressure on you to earn. But unions are adapting – through the efforts of Unions New South Wales, Airtasker agreed to set minimum working conditions for its service providers in May this year. Before then, workers hired through Airtasker were offered no financial protections if they were injured on the job. This was considered a world-first for the gig economy, and unions continue to grapple with the myriad issues that these platforms present. “Uber, to unions, to working people right across the world – because it’s the same model right across the world – is pretty dangerous,” SA Union’s State Secretary, Joe Szakacs, says. “Much of the idea of bidding for work, whether it be Uber, or UberEATS, or Airtasker, they allow mechanisms, in fact move towards mechanisms, which allow people to work below minimum standards of wages for that work. Joe does not offer a solution, but suggests the first step is banding together. “A union is only as powerful as its members,” he says. But that joining together has traditionally been done via recruitment in the workplace – and less and less people are there to be recruited. Our society must reckon with the fact that many of these jobs will not be immediately replaced, due to an evolving economy that increasingly relies on automation and other technological advancements to keep growing. Unemployment and underemployment is the legacy we’re striving toward every time a more dexterous robot is built. We are in a tech-obsessed age, and it is creating an environment where, in terms of employment, we are reaching a point of becoming too efficient for our own good. But technological development will not cease – it is the fate of humanity to always progress, and in many ways this is a positive quality. In the long run, technology will likely help us solve a swathe of environmental problems and usher us into a newly prosperous era – just as previous industrial revolutions have done. But there are problems that occur when the old system meets the new. And these should not be ignored. In Australia, we enjoy the protection of a minimum wage. It currently sits at $18.29 per hour. But our economy cannot promise everyone a job, and right now around seven per cent of South Australia’s population has an effective minimum wage of $0. If to become more technologically advanced is to become post-wage, we should be looking for a post-wage solution. “Arguably it’s not that we don’t have sufficient work to do, it’s just that we don’t pay for that work to be undertaken,” John Spoehr says. “Caring for young people, for elderly people, for people with a disability, and so on, or it’s environmental work. If you were to value that, and if people were to be remunerated for that work, as socially useful, productive work, you’d have very little unemployment. “We’ve had a big advance in our thinking in the last decade in terms of the provision of parental leave – parental leave for both men and women. So you can extend from that sort of thinking that the idea that the universal basic income could remunerate people for work that’s currently not paid. A similar model to universal basic income is the job guarantee program, which provides voluntary jobs for recipients, and that has been tested in other parts of the world. In Argentina, the unemployment rate in 2001 was at nearly 22 per cent. The following year they introduced Plan Jefes de Hogar, which “offered a voluntary job opportunity to heads of households… in community projects that were funded by the federal government but run locally,” explains Steven Hail, lecturer in the School of Economics at The University of Adelaide. “It did not share all the ideal characteristics of a job guarantee, in that access was limited to households with children, disabled family members, or a pregnant woman in the family. As for whether it is likely to be implemented in Australia, Steven says it’s not as foreign a concept as it might seem. “In a sense, we virtually had a job guarantee in place in the 1960s, in that there were plenty of jobs in the government sector for those who would otherwise have found it difficult to find paid employment,” he says. 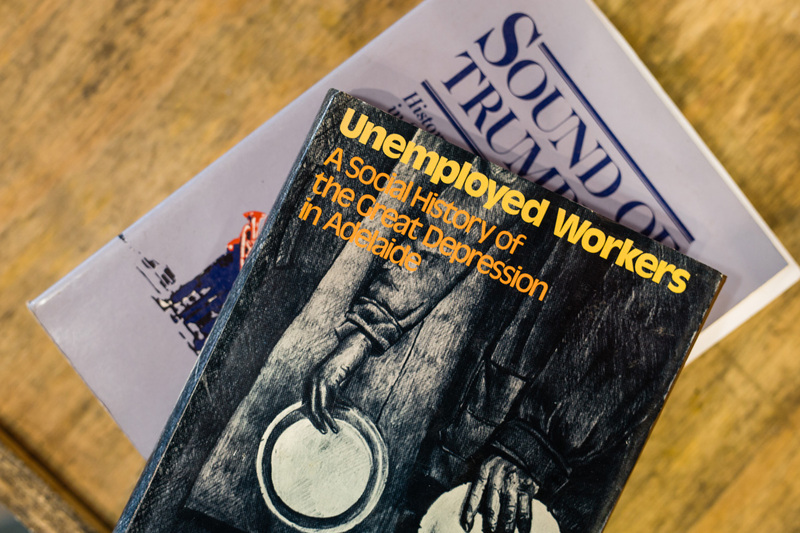 The major barrier now is breaking through the rhetoric that has turned the general public against the unemployed – to spark an examination of the reality behind the caricature of the Dole Bludger. 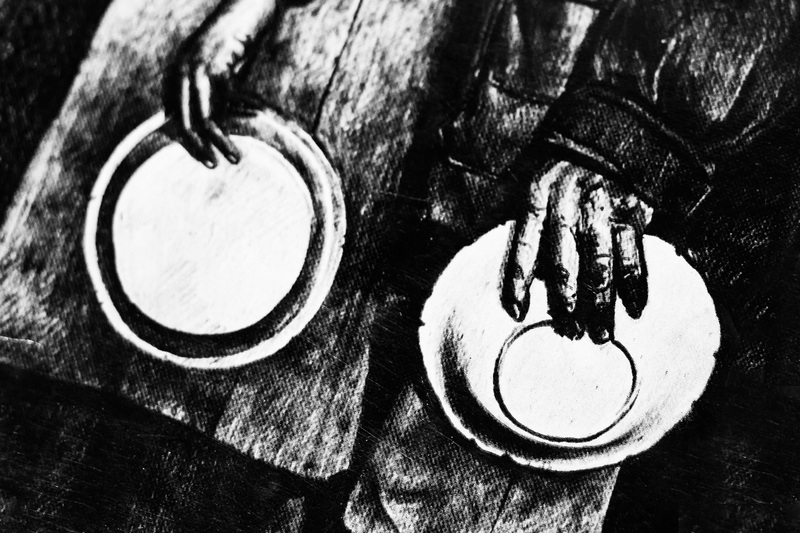 “More perniciously, we have financialised, or commercialised, our attitudes towards others, to the point where many see the unemployed as belonging to a different group… They do not identify with them or feel any responsibility for their well-being. Paying for such a program would involve the guaranteed payment subsuming other social programs. So, instead of an array of “benefits” paid out on the basis of definitions like unemployed or disability, one regular payment would be offered to everyone. But this idea has its flaws, says Australian Laureate Fellow in Economics at the University of Queensland, John Quiggin. “The question is to what extent there are special needs that aren’t met… So that’s accessibility to a range of public services and so forth,” he says. The implementation of a job guarantee or a universal basic income is, in reality, still a long way off, but according to John Quiggin, we are now at the stage where “what was once unthinkable is now thinkable”. It is at least, in theory, a much more humane response to the pending bout of unemployment than simply letting contractors outbid each other on gigging platforms. Just as the 950 workers left in the Elizabeth Holden manufacturing plant gather in their Transition Centre to plan for their post-manufacturing future, so too should we, as a society, come together to plan for a post-wage economy. The Holden manufacturing plant at Elizabeth will shutter operations on October 20. In addition to the issues discussed in this story, losing automotive manufacturing will also mean the loss of knowledge and skills that have given rise to many spin-off industries and technologies in the post-WWII era. In 1973, Jan van de Belt left school and started full-time work at Uniroyal Australia, the car component manufacturer his father worked for. “I stayed there through three or four companies. My father did the same,” Jan says. “They made the dashboards, sun visors, they also made other stuff, because at that time the company was fairly diverse. 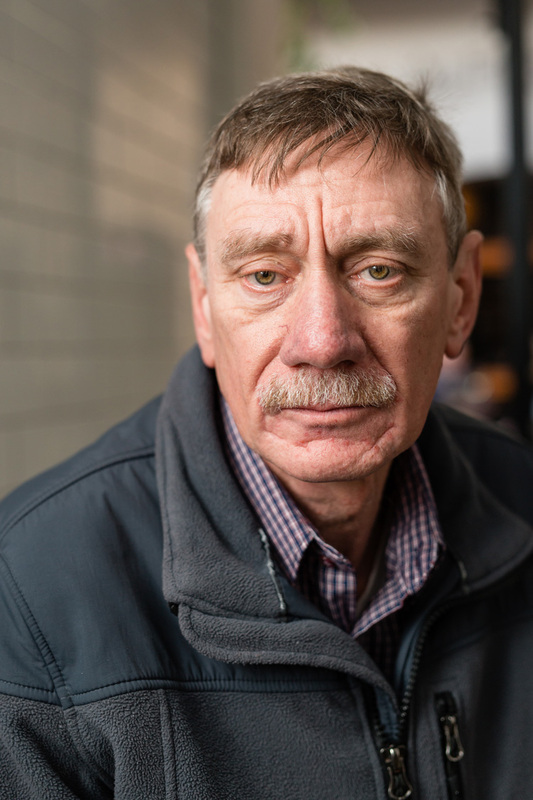 Jan started on the plastics line, where 10 years later, in 1983, he would meet his wife. He was moved into the rubber plant across the road – part of the same company – and slowly worked his way up the ladder. By 1986, Jan developed industrial asthma and had to stop manufacturing work, and so was moved to the security team. In the intervening years, with each change of company, the plant wound down as the number of businesses buying what they were supplying dwindled. In September of 2012, the security team was asked to meet at head office at eight o’clock on a Monday morning. 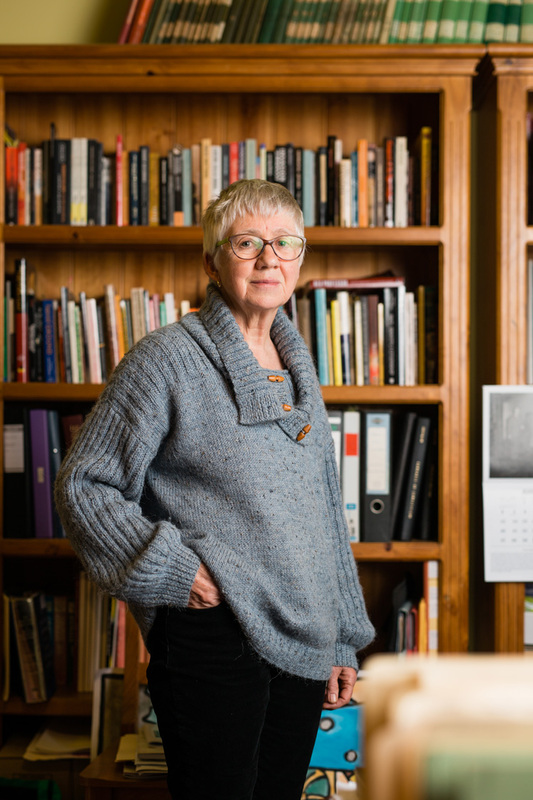 “We had a funny feeling because we had one lot go and another lot go before that – retrenchments,” Jan says. “They said ‘unfortunately your job’s no longer there, you’re no longer required.’ We found out later that what they’d done is hire an outside security company. and has since not found full-time work. “I walked out the door and I thought ‘yep, I’ve been thrown on the job scrapheap.’ My first inclination is pretty good normally,” he says. 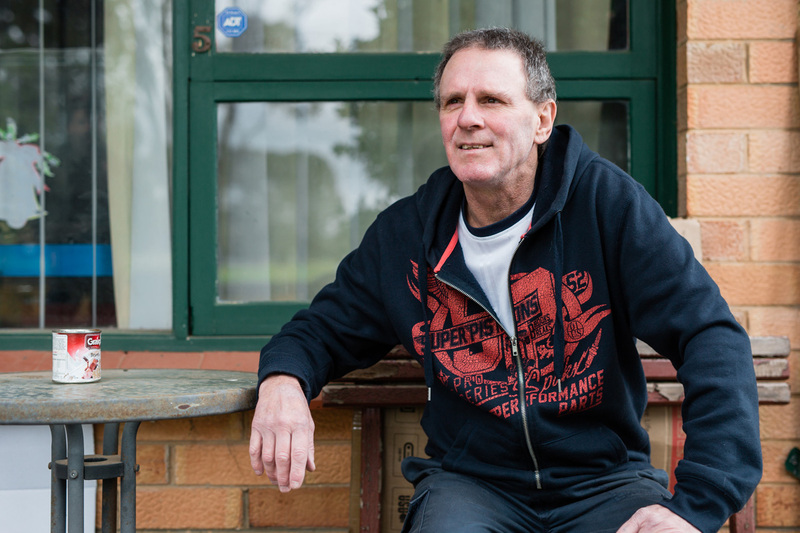 Due to his retrenchment, Jan was not eligible for Centrelink payments for two years, but now he and his wife are both on Newstart. “It’s not enough to cover our costs. We were lucky my son was at home. He pays his board, he pays his third, which is a bit better, but even still, we’re still struggling to pay the bills and get the food on the table,” he says. Jan keeps a detailed spreadsheet of all the jobs he’s applied for, many of which are marked as non-replies. It’s a numbers game, he says, and with so many job seekers sending out resumes, he’s not surprised he doesn’t hear back from them. Instead, he’s opted to volunteer 15 hours a week to remain eligible for his Newstart payments, gardening at a community house and teaching computer skills to the elderly, while only applying for jobs he’s sure he’s qualified for. “You’re working, socialising with other people, you’re doing something and seeing that something’s being done. Plus it keeps your skills up. I’m trying to keep my office skills up,” Jan says. So far, he’s found one day of work for the Census, and a few more during the last state election, but nothing permanent. Jan can retire at age 66, but that’s still a few years off. “You have to [be optimistic],” he says. Through thousands of exceptional and unexceptional daily actions, the First Nations of Australia constantly perpetuate — continuing stories that stretch infinitely through time.